We’ve just added some new cool features! Automatic tagging – if you use a tag in the comment field of a trade or an order, it will be picked up by our systems and the trade will be automatically tagged, saving you time (the tag must exist in your tags, otherwise it will be ignored). As to our latest contest – there are already over 1,330 traders registered! There are only 6 days left for registration so if you wish to participate but haven’t registered yet, please do so now. Prizes are in total of $4,000! The contest is sponsored by GO Markets; it is a multi award-winning provider of online (Forex) trading services, offering margin FX and metals trading to individuals and institutional clients world-wide. More features coming next week – stay tuned! 2 Weeks Left For Registration! There are less than 2 weeks left to register to our latest contest! Over 890 traders have already registered, how about you? Posted in Myfxbook Updates | Comments Off on 2 Weeks Left For Registration! 5th Trading Contest Registration Opened! We’re glad to announce that the registration for our 5th trading contest has just opened! 1st place – a $2,500 GO Markets funded account. 2nd place – a $1,000 GO Markets funded account. 3rd place – a $500 GO Markets funded account. The accounts start with a $50,000 balance and a leverage of 100:1, so you should have plenty of margin to trade your way to the top! 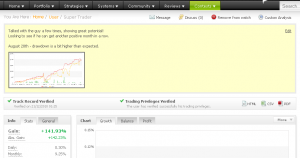 Posted in Myfxbook Updates | Comments Off on 5th Trading Contest Registration Opened! We have several updates and features pushed out in this version update, several of which are to match our statistics to industry standards as asked by our members on a constant basis – it took us a while to complete this task, as it required a large change in our calculations. 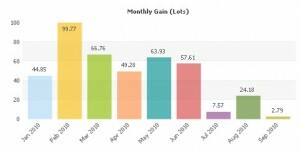 Gain formula – there is a slight change in the gain formula – it is now time weighted, as required by the Global Investment Performance Standards (or in short “GIPS”) published by the CFA institute. It now represents a value of a dollar which was compounded since the inception of the system. 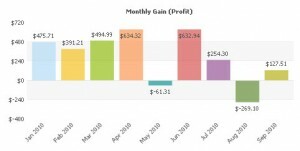 Monthly change – the monthly change is no longer cumulative, but absolute, so it now shows the change per month based on the balance change during that month. *The new metrics will become available after the next update of your account. 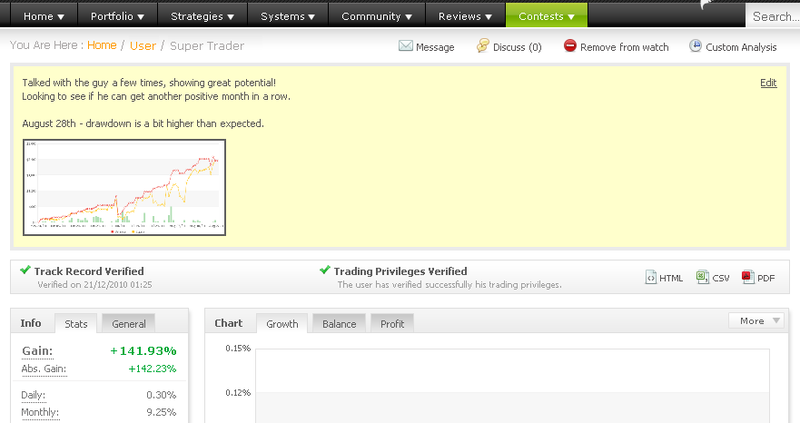 There is a new section waiting to be released next week, which should be very handy in your trading! Stay tuned! Wish you a profitable week! It’s been a very intense month of trading for our competitors – the competition was fierce and the winners came out very close to each other. 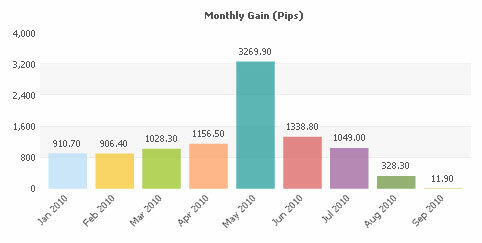 1st place, $3,000 funded FXCM account – FullFX (3441.43%). 2nd place, $2,000 funded FXCM account – songpobj (3123.79%). Winners, you will be contacted by FXCM to claim your prizes. We would like to thank all of the competitors for participating. We are getting ready to launch our next contest next week, so get ready! You are currently browsing the The Myfxbook Blog blog archives for August, 2011.